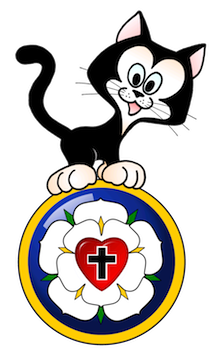 Sola Sunday School Archive: Sunday Schoolhouse - Red Year Complete! 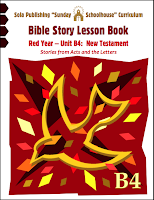 Sunday Schoolhouse - Red Year Complete! 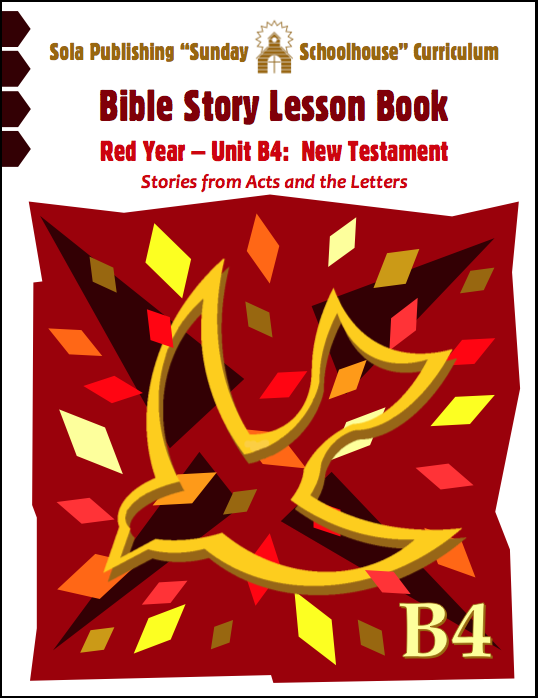 Sola Publishing has released the fourth and final installment in the "Red Year" of its Sunday Schoolhouse reproducible Sunday School Curriculum. Now, two complete 4-unit years (Red and Blue) are available! The third and final year of the series will be released for the 2012-2013 school year. With this installment, we are pleased to welcome Kelly Hanson as a children's writer to staff of Sola Publishing. Kelly has many years experience in writing curricula, and also brings artistic skills to her work. She collaborated with Pastor Steve King on the B4 unit, and will take primary responsibility for the third year of the Sunday Schoolhouse curriculum. Kelly is also a mother and wife of Pastor Dwight Hanson, who serves a two-point NALC parish in Wisconsin.